Not the best Remedy title, but it's worth visiting for fans of the studio. Founded in 1995, Max Payne carries Remedy Entertainment’s legacy. In the fourteen years since Max Payne 2, only two console games have come from the studio–Alan Wake and Quantum Break. The latter was built up as one of Microsoft’s major eighth generation exclusives, though it came and went with a whimper. 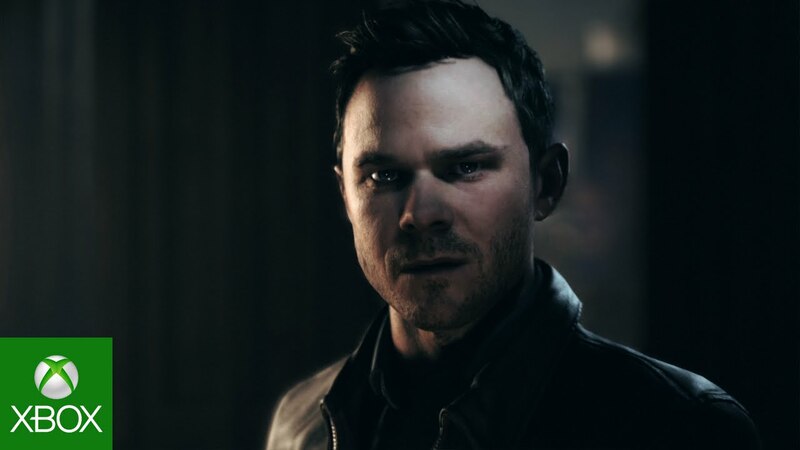 Is Quantum Break worth remembering or is it just a blip on the studio’s timeline? Narrative has always been Remedy’s core strength. As a result, it should be no surprise that Quantum Break places a heavy emphasis on its story, though tempered expectations are advisable. The game stars Jack Joyce, a loyal friend to scientist, Paul Serene. Paul calls in a favor, asking Jack to help him test his time machine. As a surprise to no one, the test goes awry, setting in motion a chain of events including Paul’s physical deterioration as well as the impending threat of time ending. The typical B-grade science fiction plot is filled with writing that fails to overcome its generic trappings. Whereas studios like Naughty Dog utilize tired plots as vehicles to drive believable and well written character interactions, Quantum Break meanders through its entire run time. Most characters lack depth. Jack Joyce and Beth Wilder aren’t exactly the most likable or engaging duo. To its credit, even if the writing isn’t up to snuff, each scene is at least well acted and directed with a level of cinematic flair you’d expect from a triple-A title. Part of this is due to the game’s presentation. Nearly two years later, the visuals continue to astound at higher resolutions, standing toe to toe with some of the most technically impressive titles of 2017. Broken up into five acts, players will take control of the villain after each act’s conclusion in what the game calls a junction point. These junction points allow one of two decisions to be made which will impact later in-game events as well as the live action tv episodes. These episodes play out at the end of each act after a junction point. The roughly twenty minute episodes never overstay their welcome, though they exude an aura of low budget cable tv cheese that’s difficult to shake. Despite its hokey nature, the show accomplishes its goal of fleshing out Monarch, the token bad guy organization. 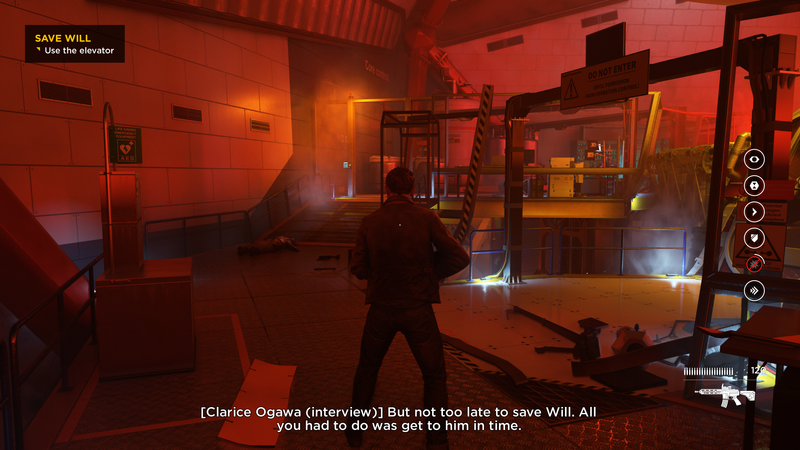 It doesn’t match Remedy’s previous efforts, but it’s just enough to provide context for the gameplay. While the story may not live up to the studio’s reputation, the frenetic time bending combat certainly does. 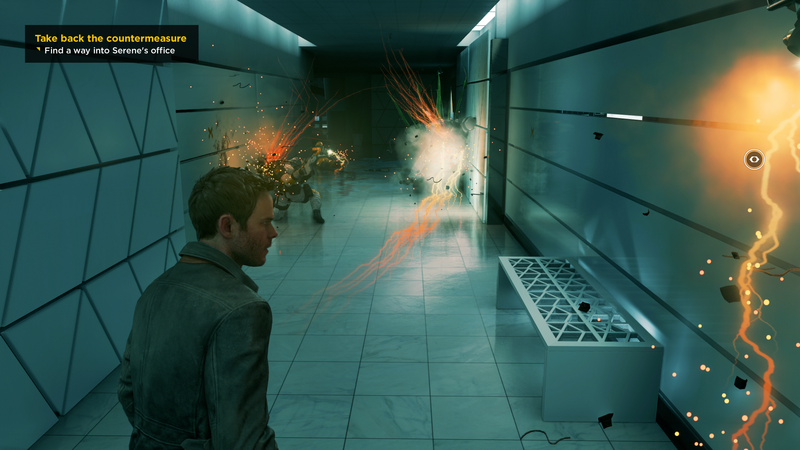 Quantum Break begins as a basic shooter, though new powers are doled out at a breakneck pace. By the end, you’ll likely be combining these powers together in a chain of poetic beauty. Powers range from time bubbles that collect and then disperse bullets to a bubble shield that heals the player’s health. 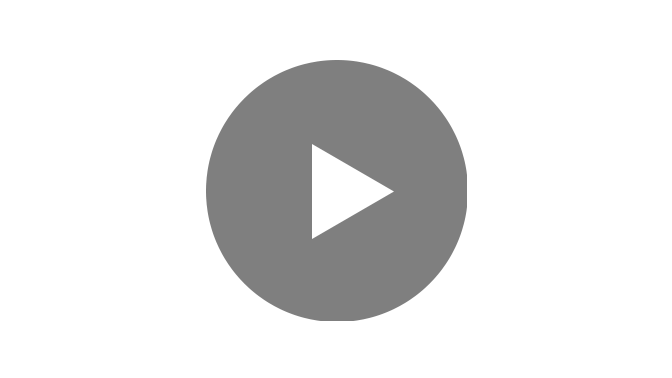 Just like Max Payne, Quantum Break has a bullet time style slow motion ability that can be activated by aiming immediately after performing a time dodge or time dodging into an enemy. None of the individual powers at the player’s disposal are inventive, but when combined, they offer a level of tactical depth you rarely see in straightforward shooters. With its open arenas and nimble cover, constant movement is encouraged. Each combat space is designed to allow mastery of the game’s various systems, chaining powers together to wipe out an entire room of enemies. When the player understands the systems at play and how to exploit them, every single encounter with a group of enemies feels like a reward for sticking through the so-so narrative. 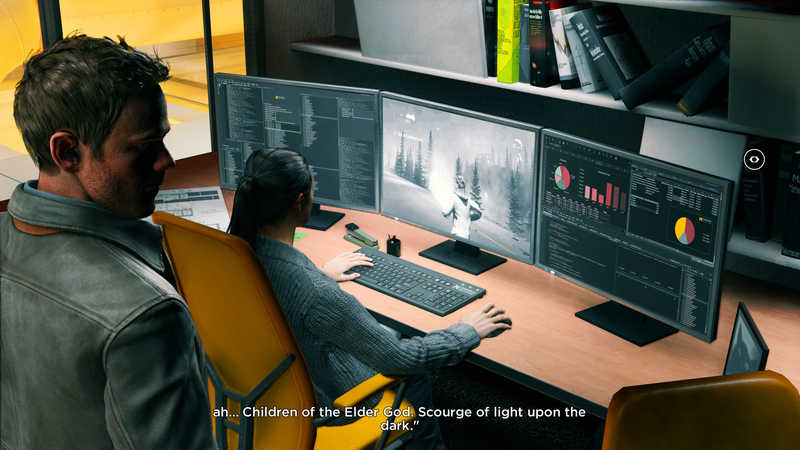 That perhaps brings us to Quantum Break‘s biggest issue. Whereas previous Remedy games strike a careful balance between engaging storytelling and exciting gameplay, Quantum Break veers heavily in one direction. It offers incredibly exciting shootouts, but offers little else outside of that. Puzzles are almost nonexistent while the environmental storytelling is too heavy-handed to stick. Rarely have I played a game that scatters so many documents and pieces of storytelling so close together. Reading everything does offer the most cohesive experience, but it also slows down the pacing of the action in the pursuit of contextualizing a narrative that even when fully explored isn’t going to invite intelligent discussions on the level of titles like The Last of Us or Nier: Automata. At best, the story is passable material that skirts by on the merits of its excellent presentation. 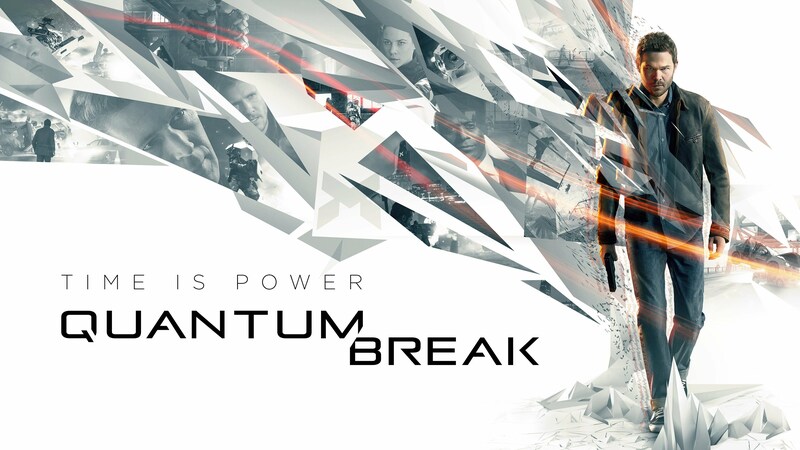 The combat is why you would want to pick up Quantum Break. It’s a shame that a more even balance couldn’t be struck, but there’s no denying the satisfaction of eliminating a wave of hostiles with efficient time power usage. I love the review man! 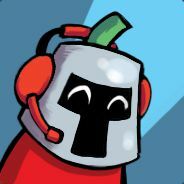 Thi game looks interesting, and the actions sounds like it would be a trip! I'll definitely try this sometime.